The words to spark controversy are numerous and varied. Even the words for not saying those controversial words are themselves controversial words. If that sounds confusing, don’t worry: it’s because it is. I’m talking about “political correctness.” A way of speaking based on friendliness and respect that somehow sets people’s teeth on edge. Oh, did I show my bias there? Did my preference come across? Did the fact I said “friendliness and respect” give away my opinion? Well, I’m glad to say there’s more to this article than just my thumbs up for verbal etiquette. Because you know what “political correctness” really is? People might think of P.R. as an extension of a business’s image, but it can and does go deeper than that. You, as a person, as an individual, both separate and connected to your existence as a religious, political, corporate, and romantic identity, have your own P.R. How you dress, how you look, how you speak, how you treat people—whenever you are at any place with other humans like Clearwater Mall or around downtown—that’s P.R. It is how your “relations” to the “public” are. And the “public”—in this sense—is everyone who is not you. And thus “political correctness” exists as a measuring stick for how you might be perceived by your public. And your public is not only white, cisgender, heterosexual, American standards of attractiveness males. There are other groups to keep in mind. Groups marginalized and discriminated against—if only to name some of the milder injustices in our world’s history. And the idea of making people try, at least try, to monitor what words they use to refer to a living breathing person with thoughts and ideas and dreams, is I think a good step forward for everyone. Good P.R. for everyone. Now—before you say it—I am not pointing fingers at the comedians and the artists who want to make a statement. Nor anyone who has a genuine, reasoned, and respectful point to make. Art and argument both exist to expand ideas. But, that’s not the usual situation where political correctness needs to be invoked anyway. No. It’s the casual racism, homophobia, transphobia, sexism, religious intolerance, et cetera, that someone defends with the idea they should have the right to insult people that political correctness was invented to prevent. Sure, free speech is something to uphold. Someone can be rude if they must—they have that right. But people also have the right to not talk to that someone anymore. 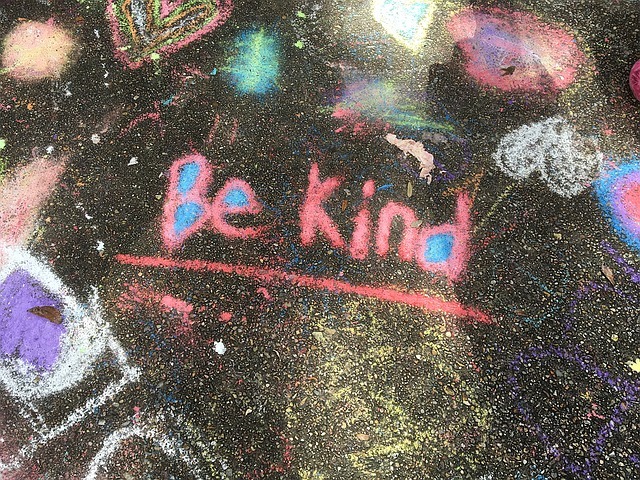 But kindness is also kindness. And political correctness need not be a totalitarian system. It is just respecting the “public” to your P.R. We are living in an interconnected world with a growing awareness of the sheer variety of human existence and experience. And that is bound to cause a shift in language. Which may startle or confound people for a little while, but language evolves and changes all the time. And, you know what? So can we.